Home » Personal Finance » How to change Mobile Number in EPF UAN Account? 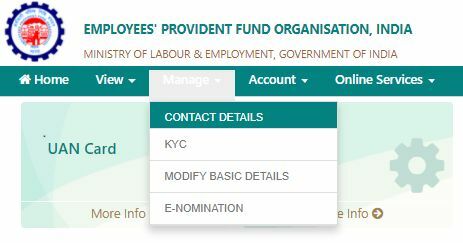 You can easily change or update Mobile Number and E-mail address in EPF UAN Account using Unified Portal. However, many people are not aware of this facility. Recently, one of blog reader asked a question in the comment section that “I forgot my password of UAN and I changed my mobile number also. How to Login to the Unified portal or How to update my mobile number? 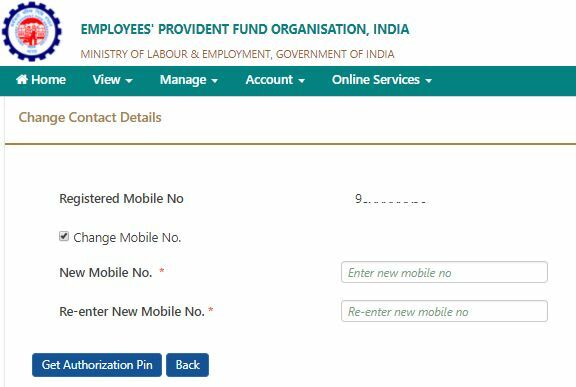 Well, it is easy to change mobile number on EPF UAN Portal. You just need your UAN number that’s it! Before sharing an actual method of changing and updating mobile number, let us take a look at what are the benefits of registering mobile number with your EPF UAN Account. To avail balance detail of EPF via SMS. To complete online transfer claim request. In short, it is necessary to update your EPF UAN account with the latest mobile number used by you. If you are struggling to update your Mobile number or E-mail ID in EPF UAN account this post is for you. In this post, I will share two simple methods to change mobile number in EPF account using unified member portal. Also Read – How to update change EPF Nomination online with UAN? If you have forgotten your UAN password and you want to change your mobile number follow the process given below. On the right-hand side, you will find login menu. You will be redirected to the page where you need to provide your UAN number along with Captcha. After inputting this detail click on Submit button. The system will display current mobile number registered with UAN account. In case you want to change or update this mobile number click on “No” button given besides “Do you wish to send OTP on the above mobile number?” message. The system will prompt you to input basic information such as your name, date of birth and gender. After providing information click on Verify Button. It will now check EPFO database about the correctness of the information provided by you. If the information is incorrect it will simply say that above information is not matching with the information available in the system. Kindly contact EPFO office. If information matches with EPF database it will further ask you to validate against AADHAAR or PAN. You need to select any one option and provide information as per selection. After providing correct information click on Verify button. If details are validated you will be asked to input your mobile number to get OTP. Enter the OTP to update your mobile number at EPF UAN. Above process is very lengthy and tedious as multiple validation points are involved. You need to provide correct information at every stage. (As per EPFO database). Incorrect information at any point of time means difficulty in updating mobile number. In addition to that above process will work only if KYC detail of the member is in place. The second method to change the mobile number at EPF portal is very easy. However, in second method you will need EPF UAN login ID and password. How to change or Update Mobile Number in EPF UAN Online? If EPF UAN password is known to you follow the steps given below for updating mobile number and e-mail address. 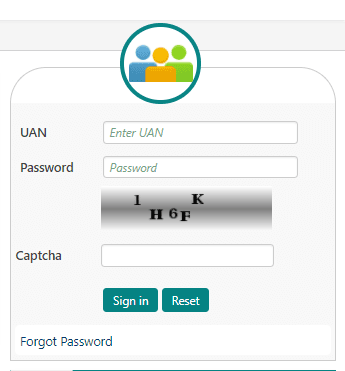 Login using UAN and Password to the unified portal. Click on Manage >> Contact Details from the top navigation menu. You will be diverted to the page where your registered mobile number and E-mail ID will be displayed. Click on “Get Authorization Pin”. OTP will be sent to your new mobile number. Enter OTP and your mobile number will changed. In a similar way, you can also change your E-mail ID. You just need to enter your new e-mail address and click on “Get Authorization Pin”.OTP will be sent to your e-mail address. Once you input the OTP you will be able to change e-mail address. You can also change the mobile number by going to View >> Profile from the top navigation menu. In profile, you will be able to see member details. If mobile number mentioned in your profile detail is incorrect, click on “Change” link given in front of the mobile number. If details are mismatch either you need to remember and add exact details. Else you need to ask your employer to help you in doing re-KYC.